HOW DO WE TEST FOR MOLD? WHY IS MOLD GROWING IN MY HOME? CAN MOLD CAUSE HEALTH PROBLEMS? WHEN SHOULD I EVACUATE BECAUSE OF MOLD? HOW DO I KNOW WHEN THE REMEDIATION OR CLEANUP IS FINISHED? HOW DO I GET RID OF MOLD? Mold is at the top of this list when it comes to damages found by New Jersey Home Inspectors. The presence of mold is a clear indicator of damage to the home allowing for moisture to enter and vice verse. Unfortunately, mold is not always visible making it difficult to find. As Mold reproduces, the spores find themselves moving about a home through the air. This allows mold to hide behind walls, under carpeting, and in the ceiling. Oftentimes a Home Inspector will find the signs of mold growth, but not always the mold itself. 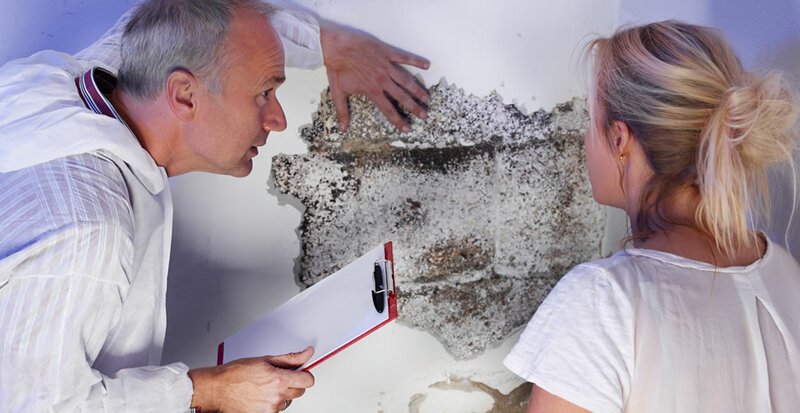 If your home inspector finds moisture leaks and mold-related damage, it is important to hire a mold testing service as soon as possible to protect your family and ease of mind! Mold is difficult to diagnose. The initial cause of mold growth may be easily seen by a home inspector, such as a roof leak, but the actual presence of mold can be tricky to discover. Likewise, hidden mold can be problematic to the health and wellbeing of your family & home. When a home inspector finds signs of mold there should always be follow up testing. A reputable New Jersey mold testing company will do a thorough examination of your home and determine the parameters of the existence of mold. Not every home inspector is qualified or certified to test a home for mold. An NJ home inspector’s job is to inspect a home for structural damage and concerns. When working with a home inspector, you will receive a checklist of what is covered on a home inspection prior to the inspection. When issues are suspected or discovered a specialist will be recommended to further inspect the problem(s) at hand. Structural issues, the presence of radon, and signs of mold are examples that would require a further examination by a specialist. In the case of mold, an experienced Bergen County NJ Mold Tester should be hired to examine a home further. Contact our team at Certified Mold Testing NJ today to schedule your mold testing in New Jersey. Your home inspection company may not be certified in testing for mold. Our experts can locate mold and determine its cause. 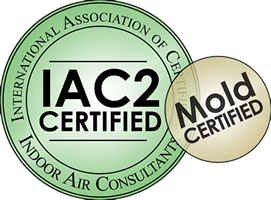 The area’s leading mold testing experts, Certified Mold Testing, can help ensure your home is a healthy home. Click here to read “Top 5 Claims Against Home Inspectors” from the InspectorPro Program. Is Mold Testing Included in a NJ Home Inspection?